Mrs. Dorothy Mae Love was born February 15, 1934 to the late David Brooks and Roberta Doss in Hughes, Arkansas. Dorothy relocated with her family to Columbus, Ohio in 1974. After a long illness, her sunset came on Saturday, March 30, 2019 at McNaughten Pointe Care Facility. 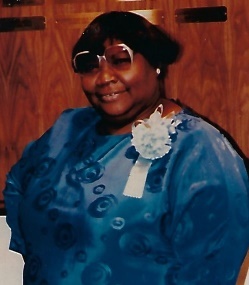 Dorothy leaves to cherish her memory, step-mother, Addie Brooks of Memphis, TN; her children Larry Love and Teal Love, Jr., Gloria J. Washington, and Linda Dorsey;special son-in-law, Herman Dorsey, Jr. of West Memphis, AR and Terry Fowler of Columbus; sister, Ruth Walker of Madison, IL; brother Leroy (Eva) Mason of Forest City, AR; 14 grandchildren; 18 great grandchildren; and a host of nieces, nephews, other relatives and friends.